I've got skeletons in my closet. But I find myself wanting to raid her closet. I'm familiar with strong women who rock the business world. But I've never met a woman like this before. I don't want to share her. I don't want her to slip through my fingertips. But if I don't keep her, someone else will. Love is a beautiful thing! Or, is it? I'm totally loving all of the "stories" in this series. We get more of Diesel & Titan and now there's Thorn & Autumn and Vincent & Scarlet. 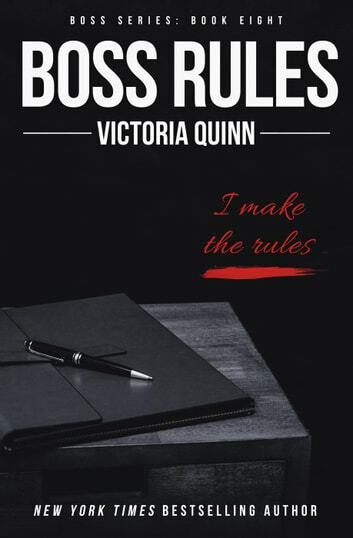 Victoria Quinn does a fantastic job weaving all of these tales together. Making us love every single character. Yet, she does not hand it over easily. It's done in a way that keeps you questioning everything you thought you knew and begging for more. Can't wait to read the final book in, what has come to be my favorite series of the year so far.